Bare Shell Office Space Available for Rent at Jasola District Center, Area Measuring 1850 Sq.ft. Glass Facade Building with all modern facilities. 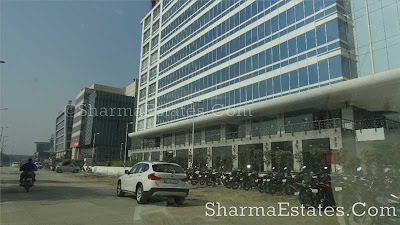 Only 100 meter away from Jasola-Apollo Metro Station, Centrally Air-conditioned building with 100% Power Back-up, Multi-Level Basement Car Parking Space, MCD Paid Parking Also Available. Other Options also Available in the Area. Fully Furnished and Bare Shell. Well connected via metro violet line to commercial Hubs such as Nehru Place, Okhla Industrial area, Connaught Place and residential areas such as Greater Kailash, Kalaji, New Friends Colony and Sarita Vihar. The area is also close to Noida. Sq. Footage : 66000 sq.ft. Price/Rent : Rs - 110/ Sq.ft. Sq. Footage : 16000 sq.ft. Price/Rent : Rs 100/ sq.ft. Sq. Footage : 5000 sq.ft. 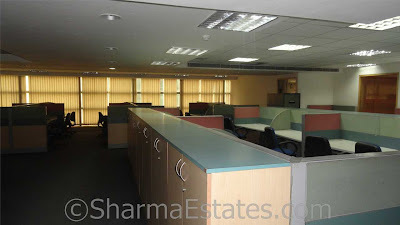 Price/Rent : Rs - 110/ Sq.ft.